I'm mainly going to cover the Summer Junior and Teen Camps that our church kids excitedly look forward to every year. However, they do also have a Bible Institute that has an emphasizes in distance learning, as well as an online store. Commonground Baptist is a local church camp ministry under the direction of Southeast Bible Baptist Church, and it is designed to serve local churches of like faith and practice. The ministry started when it held its first ever Winter Retreat for teenagers in 1995. Winter camps have been held every year since and Genesee Valley expanded to include summer camp in 2000. God has abundantly blessed and I will gladly put you in touch with pastors who will testify of God working in their youth departments because of the ministry of Commonground. I have gone the past three years, twice to teen camp and once to junior camp...they were all wonderful experiences in there different ways! 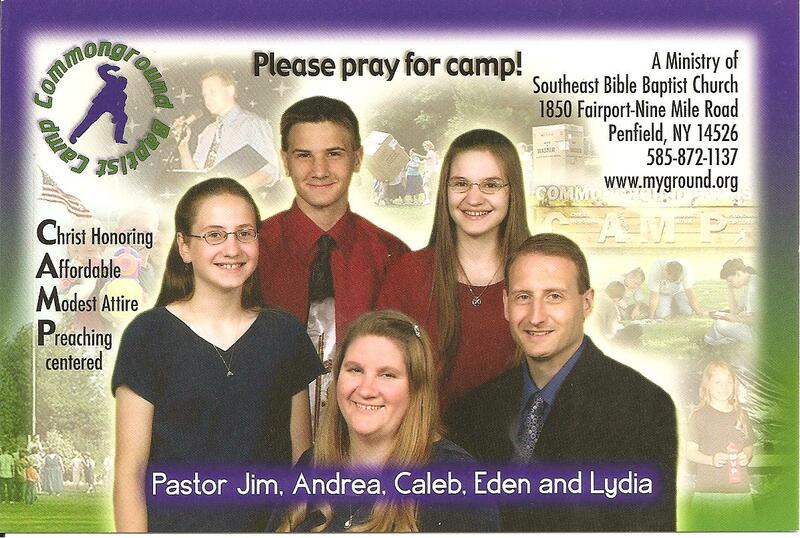 Pastor Krohn has done a great job at making the camp fun, exciting, comfortable, affordable...and SPIRITUAL! 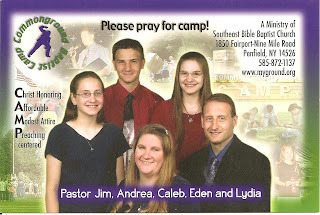 Why go to a Christian camp and come away the same as when you went? This camp is not like that! Pastor Krohn schedules great preachers that share their hearts and challenge the kids (as well as adults) to follow God with everything!! !